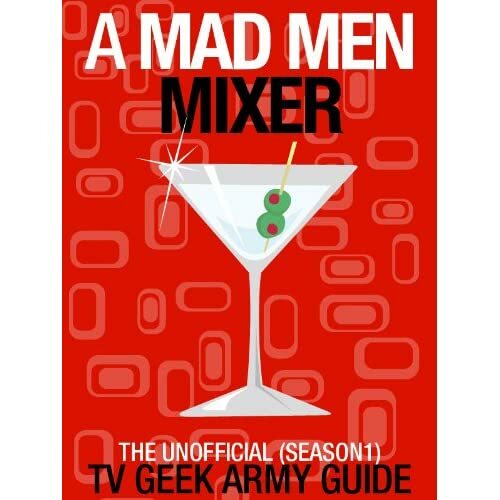 Posted on Monday, March 4, 2013, by Eric - TV Geek Army "Revered Leader"
Yep, it's that part of the Mad Men "off-season" when it's time to fixate on any tiny hint or innocuous comment about the upcoming season that a cast or crew member makes. In this case, we have January Jones, who of course plays Betty Francis, telling Vulture that she will be in Season Six "more" than in past seasons, which in of itself is significant news. Some had speculated that Betty might even be written off the show in the wake of her divorce with Don Draper (Jon Hamm) at the end of Season Three. And then we also learn: "I've gotten to do a lot of weird stuff." For one thing, Betty is a weird character in many ways (one who I've argued is "complicated and subtle and delightfully odd") to begin with, so for Jones to announce that she's getting up to the weird in the new season will really be fascinating to watch. I'm guessing it won't be on the level of forming a folk band and hitting the road with the Mamas and the Papas, but who knows? Even with limited screen time, we saw a lot of interesting developments with Betty in Season Five. The obvious one is that she transformed from Fat Betty to regular good old Regular Betty before too long. But we also saw her fluctuating in her relationships with those close to her: Sally, Henry, and Don. There are moments when Betty might be observed as an odious character (and same goes for Pete Campbell), but then we'll see a more human side, a deeper level, that helps us to relate to her even if much of the behavior we've seen can't quite be condoned. Betty comforting Sally and providing maternal advice after the latter experiences her first period is a good example of this. We also saw a lot of general "weird stuff" in Season Five all told: Don and Megan's… spicy and dysfunctional antics, Roger and Jane's LSD party, Paul's return (and conversion to Hare Krishna! ), Joan's Indecent Proposal, and of course Lane's tragic end, just for starters. Here's to looking forward to more weirdness and more greatness from Mad Men in the coming season. In other news, here's the brand new teaser trailer as Mad Men counts down its final weeks until the Season Six premiere (Sunday, April 7th on AMC). It's as wonderful and glamorous a 15-second tease as we might expect, and without any dialog does quite a lot to give us a flavor of the world these characters will inhabit as the clock ticks along into the latter part of the 1960s. The tagline for the promo – The Affair of the Year – has so many delicious (to quote Pete Campbell from his bachelor party in the pilot episode, though in a non-creepy context in this case) possibilities.